We will have some materials but the more the merrier! Please bring whatever you want. 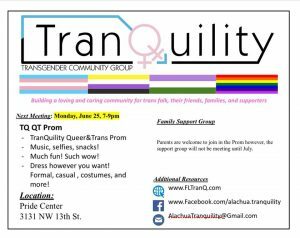 Family group is still meeting from 7:00-8:00 with Melina. Relax and rejuvenate 🙂 We’ll start with a 5 minute gender journey storytelling by one of our members and then slide into our spa day. 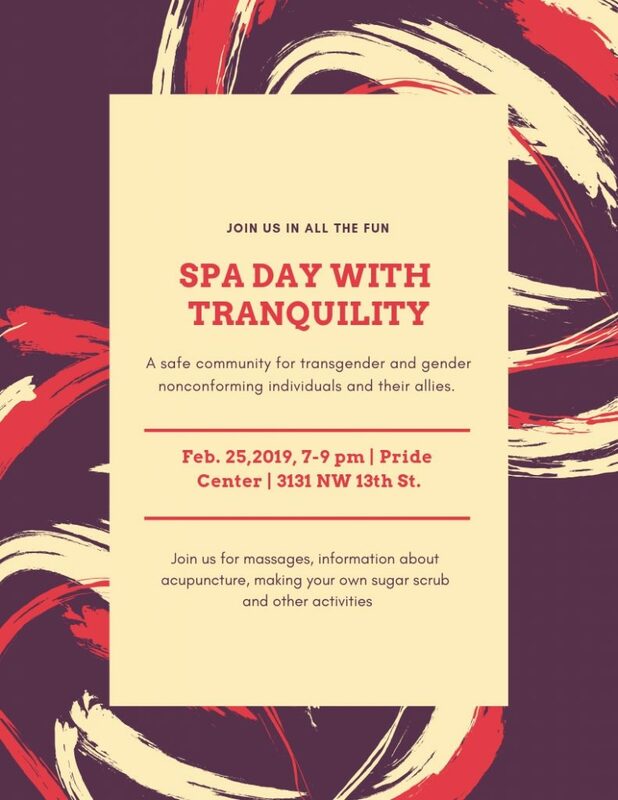 In the main room at the Pride Center there will be materials for making your own sugar scrub, a themicure (manicure) station, plenty of games and representatives from the Academy for 5 Element Acupuncture offering information about their services . In a separate quieter room there will be 2 local massage therapists offering regular and Thai massage. Also, the family support group will be meeting with Melina as usual in a third room. Have you been interested in beginning the process of legally changing your name or gender marker on legal documents but felt intimidated by all the paperwork? Simone Chriss, a lawyer from the Southern Legal Council (a statewide not-for-profit public interest law firm that is committed to the ideal of equal justice for all and the attainment of basic human and civil rights) will be helping us walk through all the steps. You will be able to fill out all the paperwork that day with her guidance. What you will need to fill out the paperwork are the addresses of all the places you’ve lived at – or as many as you can remember – information about any criminal history, creditors judgments against you or any debt, and how much money and assets you own. And of course we will also have snacks and drinks as usual and begin the meeting with a fun icebreaker. Costumes, food and games! The theme is Disney Zombie! Bring just yourself or wear a costume of your choice. We will be having a little contest at the end! Writing your story helps you process you experiences, create clarity for future decision-making, and understand your motivations. 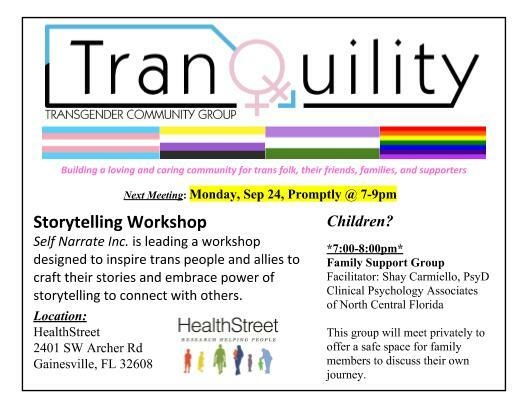 During this Tranquility meeting, Self Narrate Inc. Is leading a workshop designed to inspire trans people and allies to craft their stories and embrace power of storytelling to connect with others. 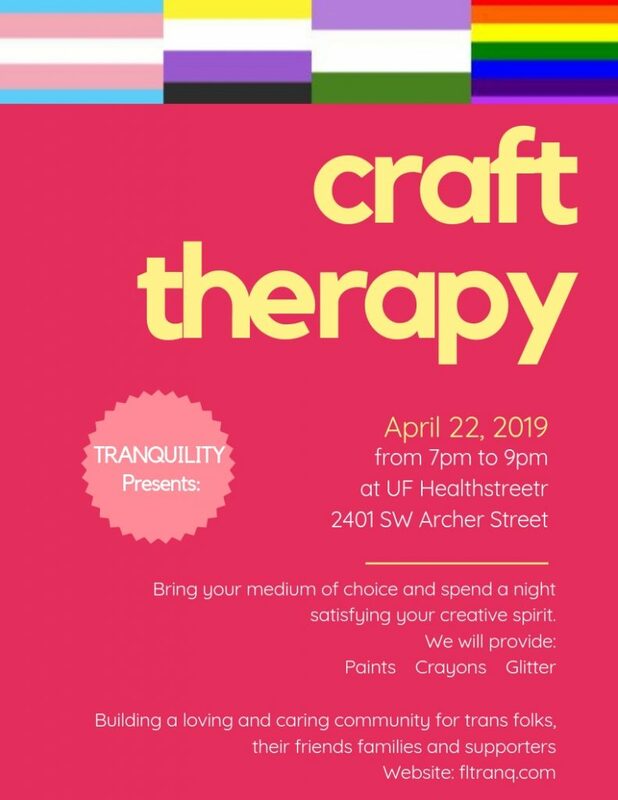 We will be working together, in groups and individually for the full 2 hour workshop starting at 7 p.m. Time allowing, individual stories can be shared at the end or you may contact Tranquility with the opportunity to share yours during a future meeting. Sharing is completely optional. We all have a great story to share. 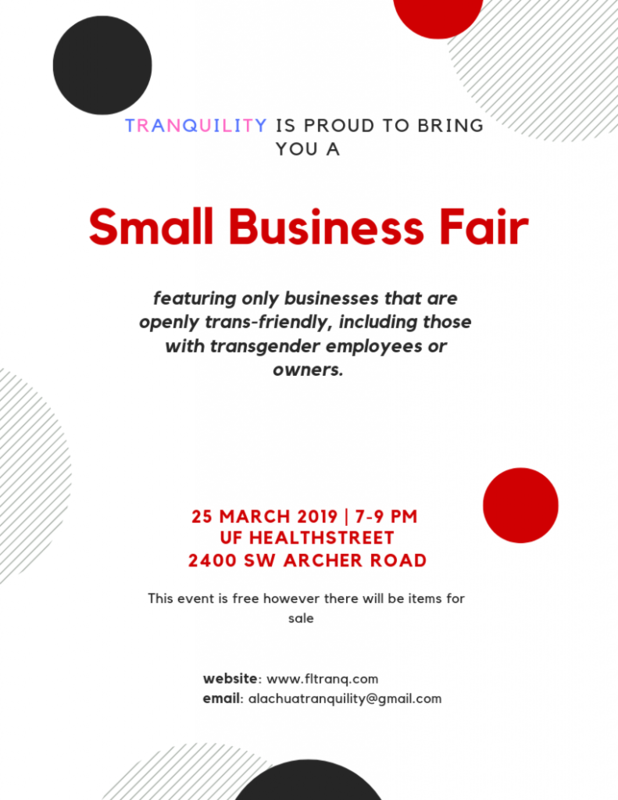 Come join TranQuility as we host a panel discussion which seeks to provide a platform to Transpeople of color and Transpeople with disabilities to share their thoughts with the community! 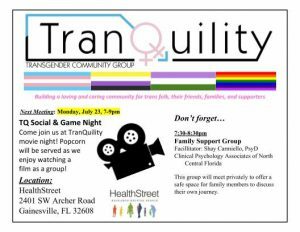 Being transgender can come with it’s own set of difficulties, and at this meeting we will explore how being a member of a minority group relates to individual experience with the transgender community. 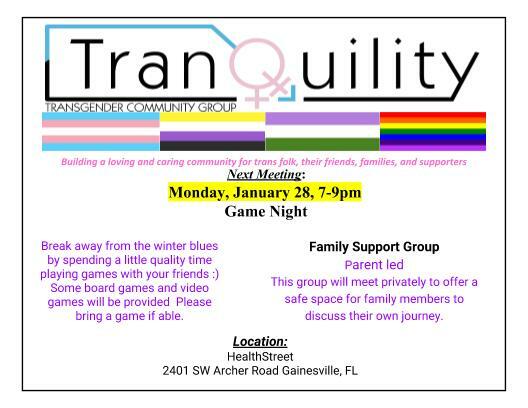 *Family Support Group meeting time has changed to 7:00. Come one, come all! Bust loose and feel free!